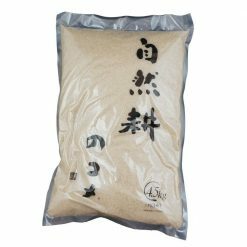 Akita Sasanishiki Organic Rice is the pinnacle of texture, taste, and fragrance, dating back to the Showa period. A great side to any traditional Japanese meal and the go-to option for individuals that are in poor physical health. 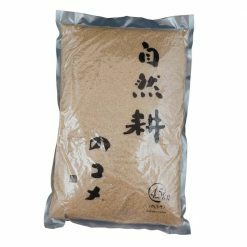 Akita Sasanishiki Organic Rice is a very rare, “visionary” type of rice that requires incredible skill and delicacy to produce. Its stickiness, softness, and aftertaste perfectly accompany traditional Japanese dishes which feature a lot of fish and vegetables. It was considered the prize of the table during the Showa period. 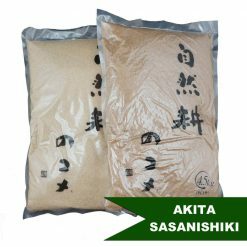 Akita Sasanishiki is recommended for those in poor physical condition or those who think Koshihikari is too heavy. 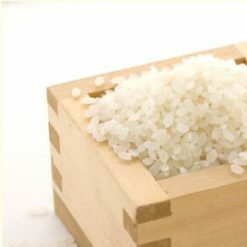 Akita Sasanishiki Organic Rice comes in two varieties; organic brown rice and organic white rice.